NEW YORK – BMW North America and ad agency GSD&M Idea City are ending their five-year relationship. The parting comes on the heels of this summer's death of BMW North America's vice president of marketing, Jack Pitney, a longtime advocate for the ad agency, and just over a year since the agency won a contract to handle global brand marketing for the automaker. The split is effective Dec. 31, when the agency's contract on the nearly $140 million account is up. It's not clear whether the automaker was planning to renew the advertising contract. An agency spokesman declined to talk about reasons for the split and would only provide this statement: "You reach a point in a relationship that it's best to part ways." BMW spokeswoman Stacy Morris said today the automaker would have no comment, but said BMW and the agency would part ways on all contracts at the end of the year. Agency insiders who were present at a meeting Thursday morning said staffers were told that GSD&M Idea City, a unit of Omnicom Group, initiated the split. GSD&M Idea City Chairman Roy Spence, CEO Duff Stewart, Senior Vice President and Chief Strategist David Matathia, who's also the account head on the BMW business, broke the news. Among the reasons given for that decision: Relationships are no longer strong with the marketing team, particularly in the wake of Pitney's death; the agency wasn't making enough money on the account; and there wasn't an opportunity to do the kind of work the agency had hoped to undertake. It's unclear how much Idea City's portion of the account was worth in revenue, but in billings, BMW spends a significant amount. In 2009, the automaker devoted $138 million to U.S. measured media, and it's on track to surpass that this year, having spent $83 million in the first six months of 2010 alone. Morris said BMW plans to replace the agency with its existing roster of ad and marketing agencies. The automaker currently works with agencies at an array of holding companies, including WPP's Grey; Dotglu, an arm of MDC Partners' Kirshenbaum Bond Senecal & Partners; and Interpublic Group of Cos.' Universal McCann, which handles media duties. GSD&M won national creative duties for BMW in November 2005 after a pitch Pitney called just two months after taking over marketing duties. The agency shocked everyone in May 2009 when it was entrusted to handle the German car maker's worldwide ad account, despite being a U.S. shop without much global experience. At the time of his death, Pitney oversaw marketing and product development for the BMW brand in the United States. But he was set to assume a new job as vice president for BMW's eastern region, the carmaker's largest U.S. sales zone. 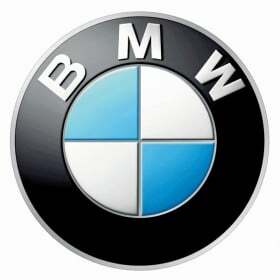 He was long viewed as the leading champion at BMW for GSD&M, having been close with the agency's staffers. In an interview earlier this year, he boasted that GSD&M had taken an expanded, global role in BMW's marketing: "The [new] 'Joy' campaign is a global campaign, and I'm proud to say our agency, GSD&M, pitched and won the global BMW business. This is the first time that BMW has had one agency on a global level."